A very special thank you to Rachel Wiesner for coming to the 2016 WYSA AGM and speaking about her brother, Brett, and the importance of The Brett Wiesner Scholarship Fund. This past year, the Fund was able to help defray costs to seven different Wisconsin ODP Players that were selected to travel with Region 2 of US Youth Soccer. We would like to thank Fran and Rachel for their continuing support to ODP and Brett's legacy. To find out more about Brett and how to contribute to The Brett Wiesner Scholarship Fund, please visit www.bvw14.com. Brett Wiesner Scholarship Fund – Living the Dream! Brett had a passion for the game at early age. People loved watching him play as much as he loved playing. At age 6 his talent was evident as he shined on a U8 team. In 1990 his family relocated to Brookfield, Wisconsin from Pueblo, Colorado. That was the beginning of what became a storied soccer career for one of Wisconsin’s best male players of all time. Brett joined Brookfield Soccer Association and played on teams like the Sting and Blue Jays, where he continued to excel on the field. Before long, a friend suggested he participate in the Wisconsin Olympic Development Program. He tried out and was immediately selected to the Wisconsin State Team. It didn’t take long before his State team designation was upgraded to Regional team player. 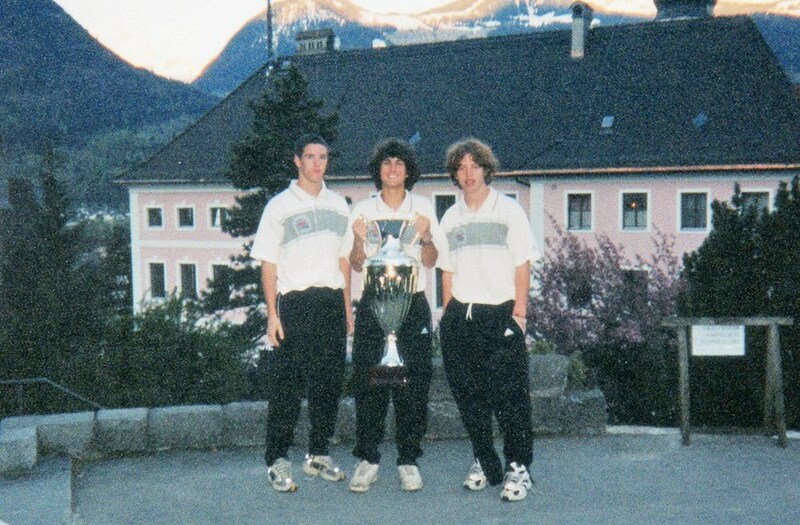 Eventually Brett became a part of the Under 21 US National team. ODP was a huge part of his life from ages12-21. The program took Brett around the world. His parents, Linda and Fran, remember him calling home from Bolivia where the US team was playing in front of 30,000+ fans. Brett’s experience on the Soccer Youth Development teams- local, regional, and national- exposed him to professional coaches and training techniques, a diverse athletic array of young soccer players from around the world, discipline, hard work, and various travel opportunities. In his senior year at Brookfield East High School he was selected Wisconsin Gatorade Player of the Year 2001, as well being selected a Parade All American player 2000/2001, the Wisconsin Soccer Coaches Player of the Year and a National Soccer Coaches Association of America All-American. He received a full soccer scholarship to the University of Washington where he was a standout in the Pac 10 conference. 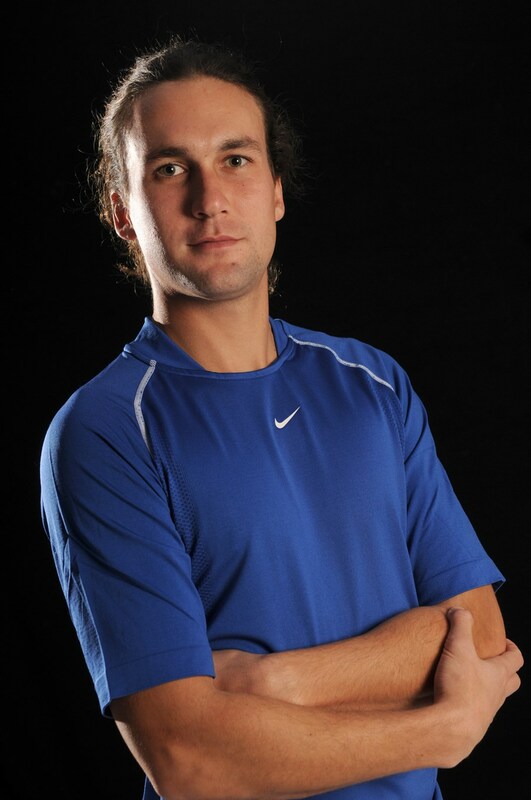 After graduation he signed on to the Seattle Sounders, and was later recruited to the Milwaukee Wave where he competed for a number of years. 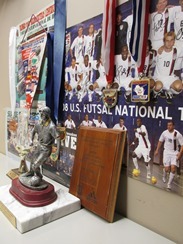 He represented the United States on the USA Futsal team in the 2008 FIFA Futsal World Cup in Brazil under Coach Tozer. After concluding an active professional career he coached at North Shore United and most recently at the Brookfield Soccer Association, where his soccer career got its start. Brett was passionate about soccer; coaching, interacting with soccer players of all levels, and helping develop the soccer potential in all the players he worked with. The Brett Wiesner Scholarship is intended to help parents and young soccer players learn about a player who faced adversity, injuries, giving up experiences in his youth to excel in the sport for which he had such passion. Here, we honor the life and career of Brett Valenciano Wiesner. Thank you for your interest and desire to assist WYSA in helping other aspiring athletes achieve their goals in soccer with financial assistance in travel, fees, or equipment. The following players were invited to Region II ODP events in 2015. In recognition of their achievement, WYSA, through the Brett Wiesner Scholarship Fund, was able to give financial support to the players for their events. A special thanks to those who have contributed to the Brett Wiesner Scholarship Fund! For more information regarding contributions or receiving financial support through the Brett Wiesner Scholarship Fund, please contact Melissa Zielinski.